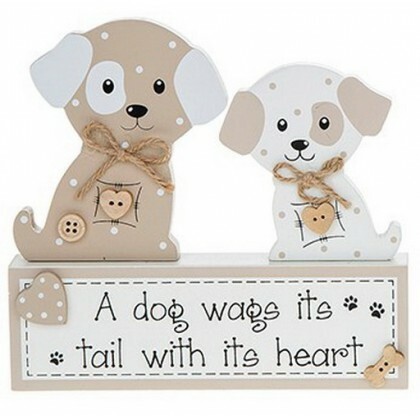 These beautiful desk top painted wood plaques are a must for any dog lovers home. Guaranteed to give you a smile every day. The plaque is just over 6" tall and 6.5" wide.